The BEC office in Eleuthera announced on the morning, Wednesday November 16th, 2016 that the power outage planned for later that morning had been postponed due to inclement weather. Consumers will be advised of the new scheduled date. 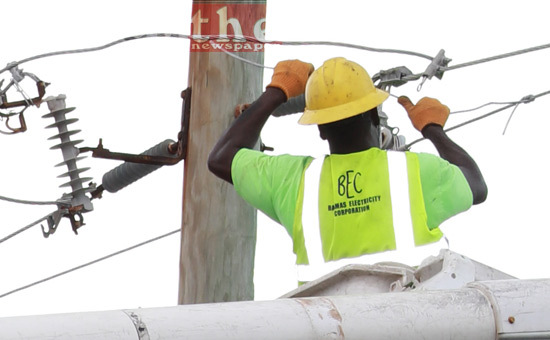 The Bahamas Electricity Corporation in Eleuthera wishes to advise consumers north of the Hatchet Bay Power Plant that their Electricity Supplies will be interrupted on Wednesday, November 16, 2016 for four (4) hours from 10:00 a.m. to 2:00 p.m. to facilitate overhead line construction and maintenance. The affected areas will include Gaulding Cay, Whale Point, Upper and Lower Bogue, Three Island Dock, The Current, Current Island, The Bluff, Blackwood, and Genes Bay. The Corporation apologizes for any inconvenience caused.